In my last Bellabox unboxing post, I mentioned that I was unsubscribing to Bellabox. And so I did. But because I had already sent my payment for this month's box, this will officially be my last ever Bellabox. I had a bitter sweet moment as I was unwrapping the package, and deep down I was hoping for a box to end on a high note. The first thing I noticed was the new packaging of the sky blue box with white polkadots. So much better than their last dull brown boxes for sure! But it makes me wonder, did it really take them this long to come up with this box design? 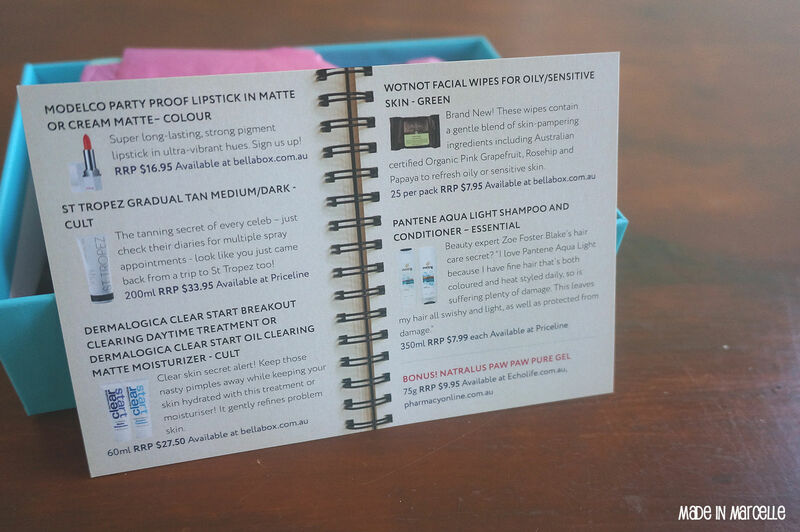 If you have been reading my past Bellabox posts or receive them yourselves, you would have noticed the lack of 'boxes'. Another thing I noticed was the pleasant scent coming from within the box. This made me excited. 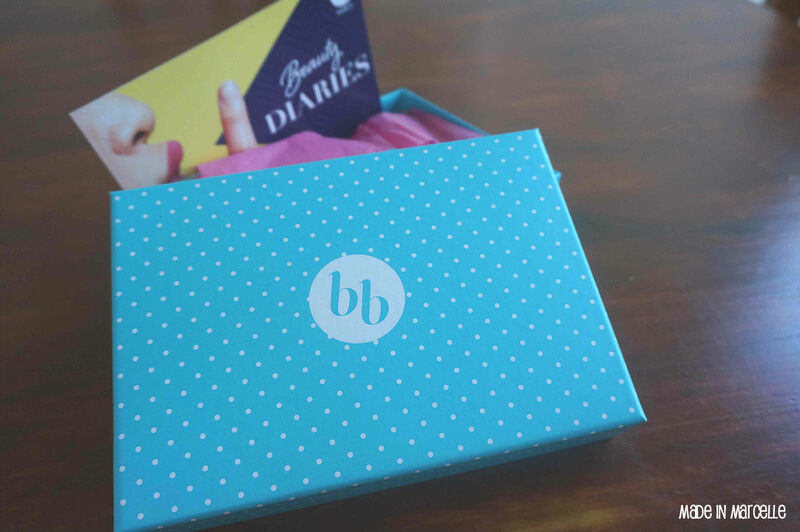 This month's BB theme is "Beauty Diaries" and contains five products plus a bonus item. I have pinpointed the source of the lovely scent to this Pantene Aqua Light Shampoo & Conditioner duo. 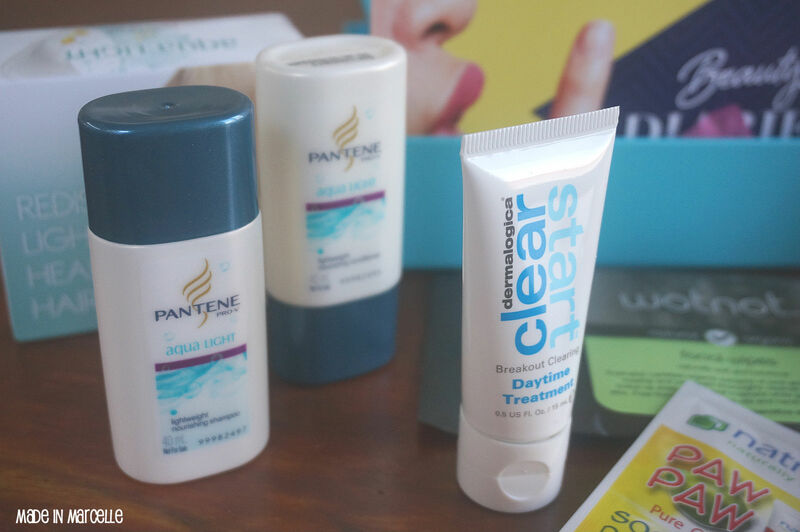 I have used these before when I received them as samples from PINCHme, and I did like them previously but could have passed these and received something else I haven't tried yet. I'm actually quite excited to receive this as my skin has been breaking out like no tomorrow. It is a daytime acne treatment that acts as a moisturiser as well. I will definitely be incorporating this to my daily skincare routine! Ok, this is the third lot I've received for these exact same wipes. And that's not BB's fault, because the other two times it was through WOTNOT's Facebook event. (Get your free sample here!) I'm currently using these wipes to remove my makeup, and these are the softest wipes I have ever felt. They really uped their game in the facial wipe sector, and I am truly impressed at how gentle and soft they are. 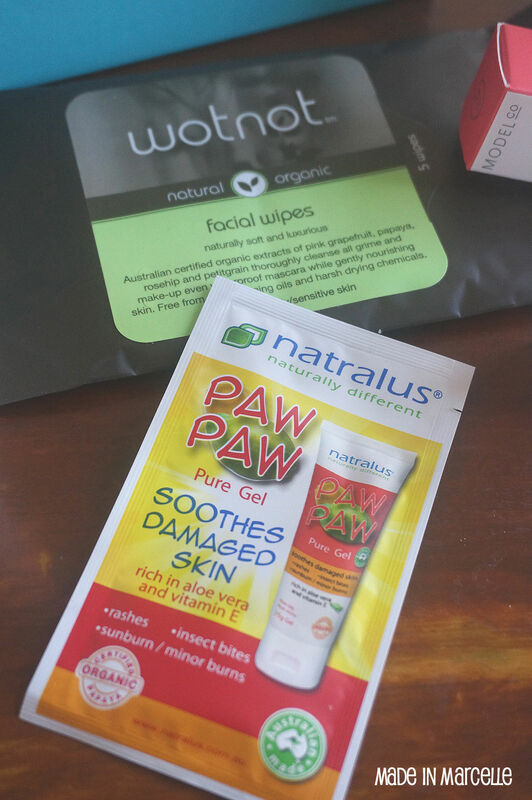 Having said that I would still choose my favourite wipes (Neutrogena Wipes and Biore Wipes) over these any day, but I can see how people with more sensitive skin would choose the WOTNOT Facial Wipes. "Eh? Another Paw Paw ointment?" That's what I thought when I came across this. But on closer inspection I realised it's a 'gel' with aloe vera as well as vitamin E. This would be a triple whammy for sunburns and dry skin. Too bad summer is long gone and I don't have dry skin! 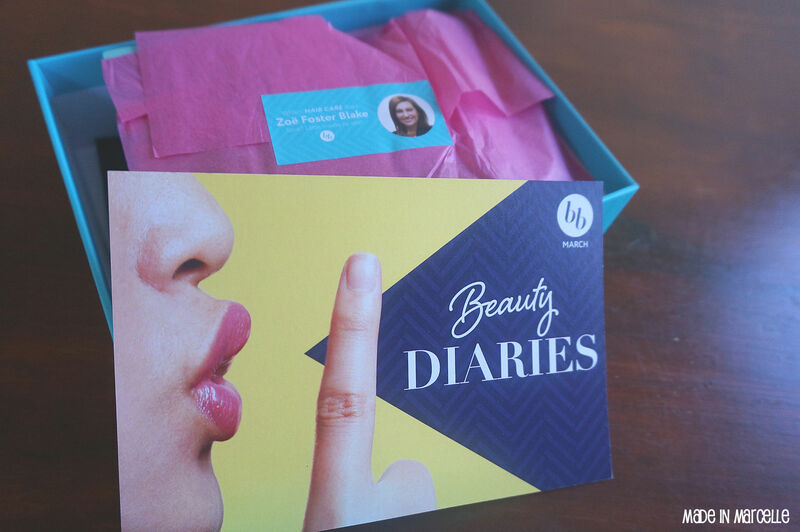 Items like these makes me wonder whether Bellabox actually takes our "Beauty Profile" into consideration or not. They make us fill out our beauty details including our skin concerns, hair condition, and skin colour. I chose 'light' as my skin colour and they sent me a tanning product for medium/ dark tan. I do love the fact that I can try out a St. Tropez product since I've been meaning to give them a go, but would've been better if it was light/ medium. 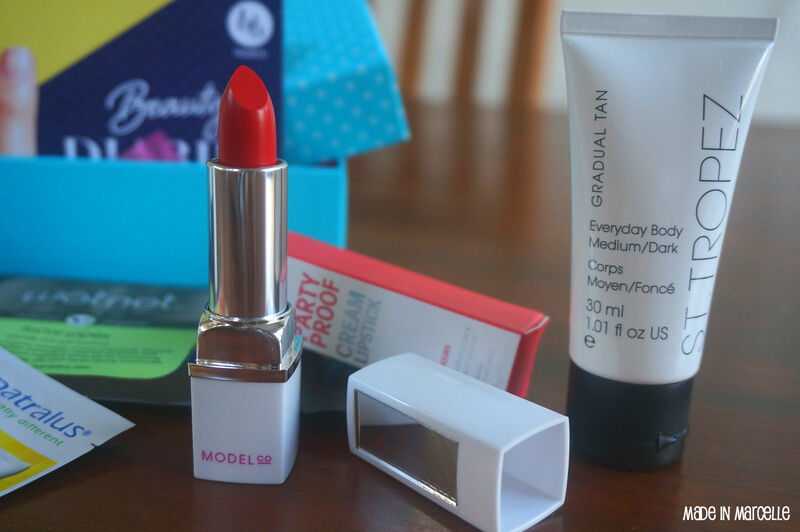 Overall, I'm excited about three items - Dermalogica Clear Start, Model Co Lipstick, and St. Tropez Gradual Tan - and mediocre for the other three so I guess this month's box is one of the good ones. I don't regret unsubscribing from Bellabox after one and a half years of being a loyal member. I've had my fair share of samples (read overflowing) and I really don't need to try the entire range of Avène. I'm glad I did not resubscribe to BB. I haven't been excited about any of their boxes for the past few months. Which other box are you looking to get? Yea, unfortunately same here :( I've signed up for Memebox for one box, which contains all Korean beauty products. I'm also looking into subscribing to Violetbox since I've been really liking their past boxes.